Call me crazy but I’ve just obtained a long term Visa in a country I’ve never even been to. To a country where I don’t know anyone. I obtained a Visa to a country I’ve always dreamed of visiting. This Visa allows me to live and work in the UK basically permanently. 5 years & then I can get dual citizenship. That’s where it gets exciting. If I become a British national it opens up many more doors. It allows me to work within the EU, which is approx, 26 other countries such as France, Italy, Spain, Greece to name a few. Wow. Thank you Grandma. I was so stoked when I worked out I was eligible for this type of visa. Yeah it’s nothing new that plenty of Australians flock over to the UK on working Visas. Being apart of the commonwealth etc. The Australian government has a mutual agreement, which allows any Australian citizen under 30 without children to work an live in the UK for up to 2 years. Yeah that sounds ok, although my dreams are bigger than just 2 years. The criteria on the UKVI website seemed pretty straightforward. You just needed to have a grandparent born in the UK, easy. So I went round to see Grandma and asked her what documents she had as it said you needed original birth certificates / marriage certificates & everything in between. Grandma was born in Edinburgh Scotland; she had her British passport but that’s it. She is an Australian resident but remained a British Citizen. So on I went to chase down them documents. Grandma had told me that all the records are held at summer set house in London. A few Google searches later and I found out this had changed a long time ago. I was told to order at another website & did so. Paid my money and waited anxiously for it to arrive. My money was refunded a few weeks later & I received an email stating that all Scotland Births & deaths are now held in Scotland. I was referred to another website. Scotland’s People. I paid a few dollars and searched up my Grandmas name. It came up, hurray! That means I could then order an official extract of her birth certificate. I did so, it was surprisingly cheap! Around $17AUD and that included international postage! Bargain I thought. I waited many, many weeks for it to arrive. Actually was a month and a half. There was a warning on the website at the time that said they were experiencing higher than normal request and to expect delays. This was to do with the whole Scotland’s Independence drama that was happening at the time. The next document I needed were marriage certificates to prove the relation through your family tree. In my case it was my Mums Mum. So I needed to show proof of name changes. I ordered my Grandmas marriage Certificate from BDM in Melbourne as she married an Australian in Melbourne. This cost me around $40 and came within a week. Next were my mum’s marriage certificate & her birth certificate, something that was so tattered I’m surprise they accepted it. I had all my documents together! Finally. This type of visa restricts you from applying until up to 3 months of your intended travel. It strongly suggests you don’t plan or book any flights or accommodation until you have the visa. I had booked my 1 way ticket in May and I wasn’t leaving until Dec. I did this because I knew with whatever happened I could still go on at least a holiday. I figured If I booked my 1 way flight then I would stop procrastinating and make this a reality. So the time was right, I logged onto the UKVI website and started to fill out my Visa application. A process that wasn’t very easy. There were a lot of questions as expected but a lot were confusing and may as well been open questions. With the finance part It asked about your living cost and income but asked for it in GBP which I found a little confusing. The fact sheet they offer you as a guide only in what documents to include in support of your application. Again this was confusing as it basically made you guess what documents would be useful for your application. As there are so many different types of visas, how was I to know what was needed for the Ancestry? It didn’t say anywhere. I did a few Google searches on other people’s experiences with the Ancestry Visa. Found some hints and tips. Here is a copy of the checklist I included in my application. I put all my documents in a display folder. Everything I included in my Application. Better safe then sorry. After I submitted my online application, I booked in to have my Biometrics in Melbourne a few days after. My experience here was not what I had expected. I thought it would have been more personal to be honest. Instead it was just an office lady taking my documents, sealing them taking my photo and fingerprints and then shipping them off to the Philippines for processing. When applying for my US working Visa, my application was a bit more personal and face-to-face. This to be honest put me not at ease with my application as I thought I would be able to explain some answers in my application. I am not going to lie when I say it was the longest 2 weeks of my life, awaiting an answer. I did rush the application a bit in excitement as I had waited so long for my grandma’s documents from Scotland I just wanted to be done with it already. After I lodge my documents, I remembered when it asked me how long I intend to stay in the UK for I put 5 plus years. Oppsie! I thought it would get declined on this alone. Even though my visa is for 5 years with an option to extend I was basically saying I was going to stay longer than my current visa I was applying for. However this must have been overlooked. I was stressing over the finance part too. I had put down how much I knew I would have when I was leaving, you can earn a lot of money in 3 months. I put down the amount I knew I would definitely have when I arrive in the UK, factoring in my current income. It wasn’t the amount I had at the time of the application. I was stressing over this too. As I thought it might come across as dishonest as my bank statements would prove different to the amount of funds I said I would have for this trip. But again this must not have mattered. There were questions that scared me in the application. Like do you know anyone in the UK? Nope. Do you have a job in the UK? Nope. Where will you be living in the UK? I don’t know, I put down a hostel address I had booked for NYE. So yes there were quite a few reasons why I was stressing. It all worked out though & I got approved first go! Luckily as it is not the cheapest if you were to attempt a few times! I decided against paying hundreds of dollars extra for some company to help me. I got this, I thought to myself I did this by my self for even a stricter country USA & got approval. I was at ease at knowing it was a case by case basis as I did think my application would come across as pretty suss (having a pretty big beard also). 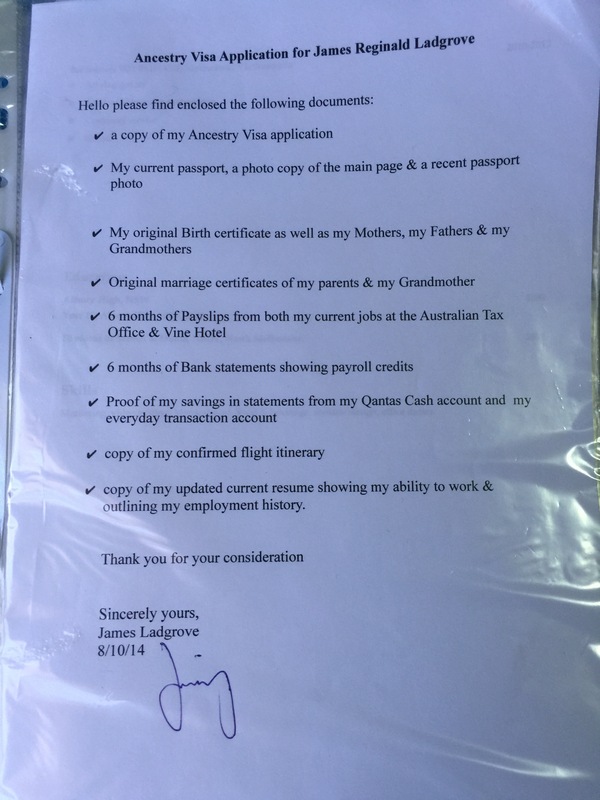 I think the fact that I worked for the Australian government helped & that an American Visa was also in my passport must have worked in my favour also. Don’t stress. Actually I take that back. Stress every day until you get your damn passport back like I did. It’s a stressful time, I feel sorry for other applicants that have to wait months for their decisions! Don’t expect to find your decision emailed to you either. Due to privacy they aren’t allowed. Don’t worry about ringing the hotline either. They aren’t aloud to tell you either. You basically just have to kick back, have a drink, or Valium whatever relaxes you. So the whole process took around 3 weeks. Felt more like 3 months to be honest. It cost me £289 for the visa. Which is around $560AUD. This didn’t include the $24 I paid for courier service as I didn’t live close to a capital city. Not cheap, but still cheaper than my 14month USA Visa. at a lovely $1400AUD. The “courier” service ended up being Australian Post, so don’t look out your window like a puppy dog waiting for a courier truck to arrive like I did. I had to collect from my local AUS post. The whole experience overall was pretty straightforward but that doesn’t mean it was fun in the slightest. Nothing worth having comes easy though right? Helpful links & other Articles from myself. Hey there James!! I really appreciated your insights and seeing exactly how you tackled this irresistible endeavor :p My grandparents are both English (though my mum is a first gen American), so I am quite eager to claim this blood just as you were! Question for ya: after submitting the online application, were you immediately scheduled for the document appointment at a local embassy or consulate? Just curious how that part works! Hey are you still in the UK on your Ancestry Visa? Any more articles coming? I just found your blog article and we looking at applying in a few months and moving to Glasgow. Would love to hear more about your experiences. Hello yes I am , I am currently living in Bristol. Glasgow is a beautiful place I almost moved there. still haven’t ruled it out. good luck with your application. I do try to update my blog but am very busy. Hey! So are you saying it took 2 weeks to get the email that they had made a decision and 3 weeks in total before you got your documents back and the visa in your hand? They told me it would take 3 weeks, but I wasn’t sure if I would have my documents back by then. Hello Michelle, thats correct, once I got the email to say they had made a decision, I received my documents and visa back the following week. They came together in the same envelope. Good luck with your application and journey. Hey James, I stumbled across your very helpful post as I am gathering all the pieces I need for my Ancestry Visa application. Just after a little bit of advice if that is okay! Hey Jimmy! Very helpful blog post here. I am from Canada, and I did two years in the UK on the Youth Mobility and am eligible for the Ancestry Visa through my Scottish grandparents. I am going to apply this year, as I miss living there like crazy. I relate to your post about Australia being far away from everything else, as I feel the same about Canada(as beautiful and lovely of a country it is). I had a few questions. How much did you have in support funds? I have read different pages giving different information as to what you need in the accounts. Some £1600, others more. Any light you can shed on that would be helpful. I have sold my car and some other things, so I could include this in my application. Also, are you still planning on going through with ILTR and Citizenship regardless of Brexit and increased costs? Who knows what deal will emerge out of all of it after all. Hi Graeme , thanks for your feedback , I’m glad it has been able to help you. So about the funds it was £1600 3 years ago I’m not sure if it has changed , I came over with £5,000. I am still going through with ILTR regardless of Brexit, I love living and working in the UK and you’re right who knows what deal will emerge. I’d just love to have dual nationality it’s been a life goal. The fees are quite hefty now to settle; with the government wanting immigration to be self funded. All the best with your application. Thank you for writing this blog post. Even though you probably haven’t thought about it for a while, know that it has helped people (namely me) 4 years later. 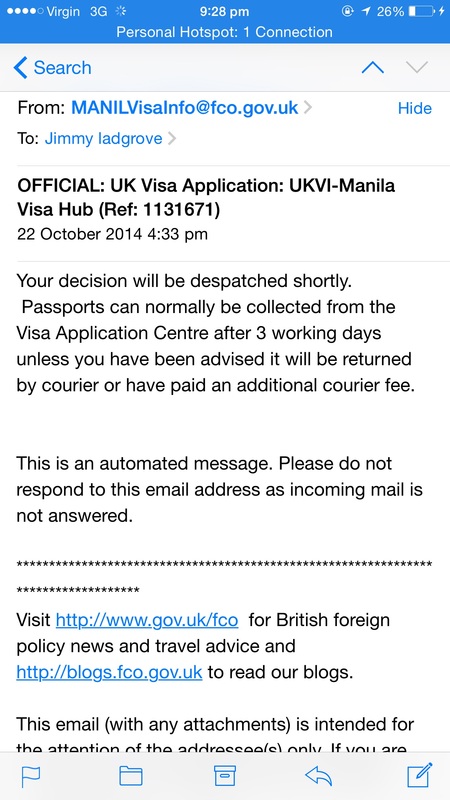 I’m at the final stages of applying; I’ve completed my online application and paid the visa fee and IHS. I am currently waiting on one final document (my dad’s full birth certificate) because after I completed my application I found out that his original birth certificate would not be acceptable and I would have to order a full one. I just wanted to ask if you found the application process as confusing as I did? Also, I just wanted to ask if you think I have enough funds for my application. I have put down that I will have 3000 GBP when I leave, but my bank statements will show that I have 2350 GBP at the time of submission. 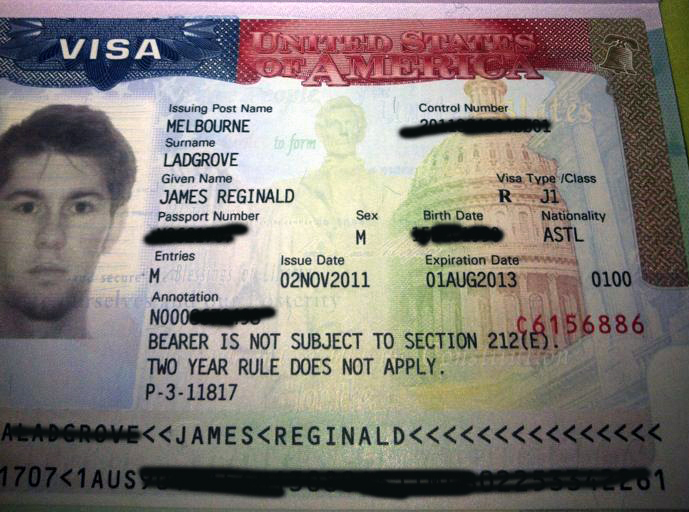 I will be leaving the Australia 4 weeks after I submit my documents and I have not yet booked flights and accomodation. Do you think my application will be ok with these funds?